July 28, 2018 By Aileen Leave a Comment This post contains affiliate links. As an Amazon Associate and member of other affiliate programs, I earn from qualifying purchases. Learn how to make a tutu with this easy to follow tutorial. 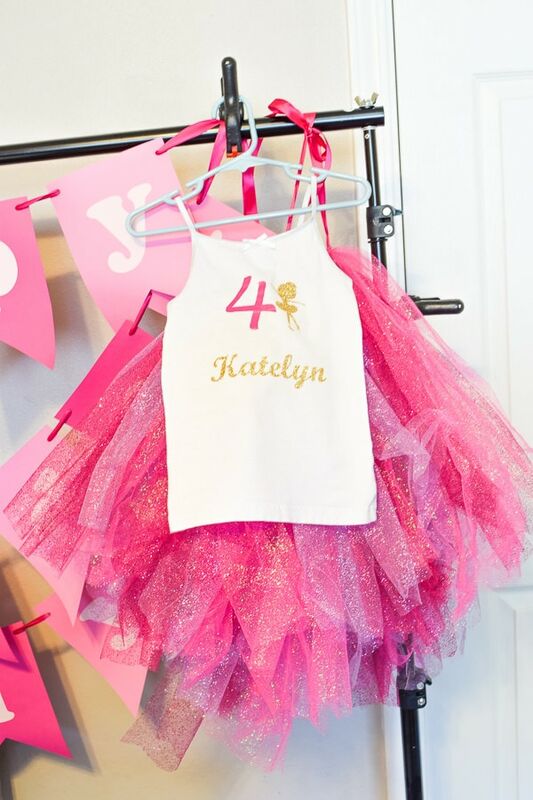 No craft experience required for making this fun no-sew tutu. I wanted to make a big poofy ballerina tutu for my daughter’s ballerina birthday party. She is a girly girl who loves all things pink and sparkly. Start with your tutu material. 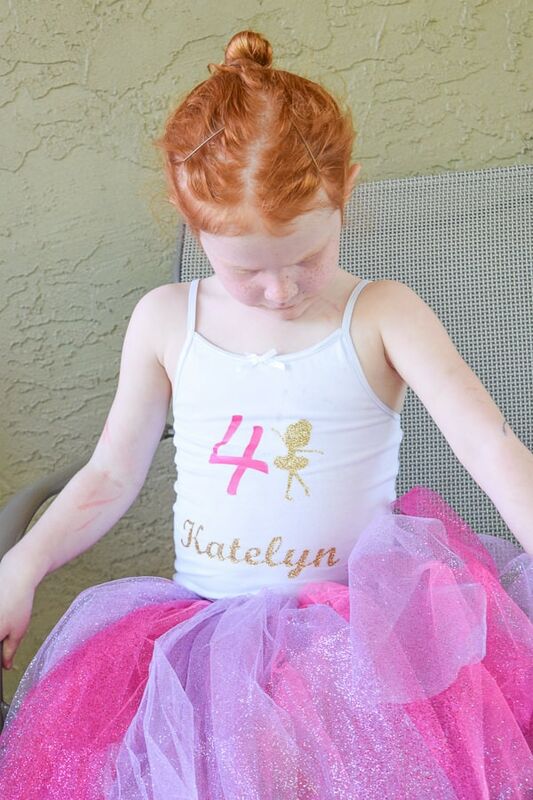 I used 6-inch glitter tulle for this no-sew tutu project. The waistband was made using pink ribbon. Start by measuring the ribbon around your child’s waist. Leave extra length on the ends to tie a big bow. Too long is better than too short as it can always be trimmed. Determine how long you want the tutu to be by measuring that part of your child’s body (waist to knee, ankle, etc.) or measuring a skirt they wear that is the right length. Multiply the length by 2 and add 1 inch. Using a measuring tape, measure a piece of tulle to your calculated length. Using that piece of tulle as a guide, continue to cut out pieces of tulle until you run out or feel you have enough. If you want a big poofy tutu, you will need approximately 60 yards of tulle. 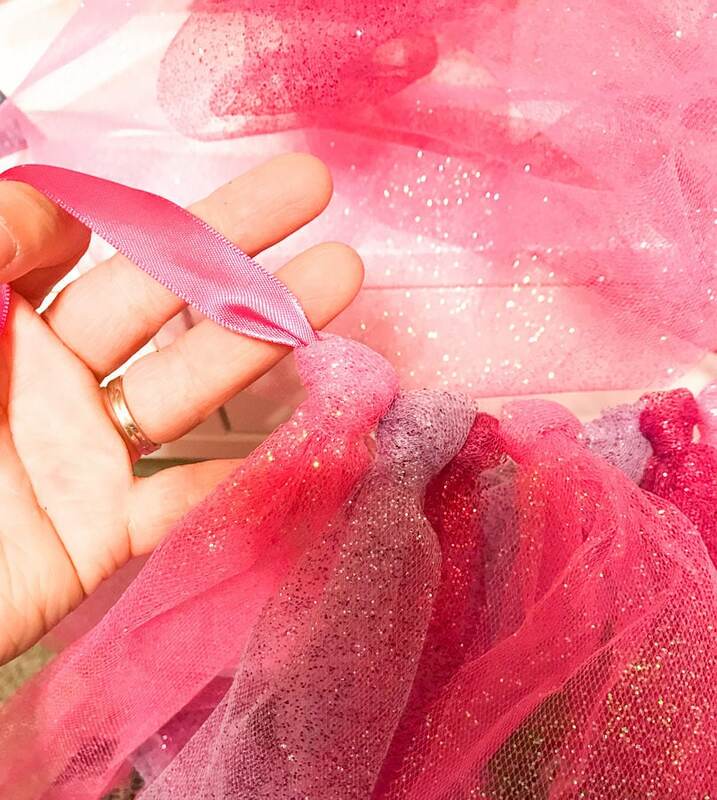 Once your tulle has been cut out to the appropriate length, you can start assembling the no sew tutu. 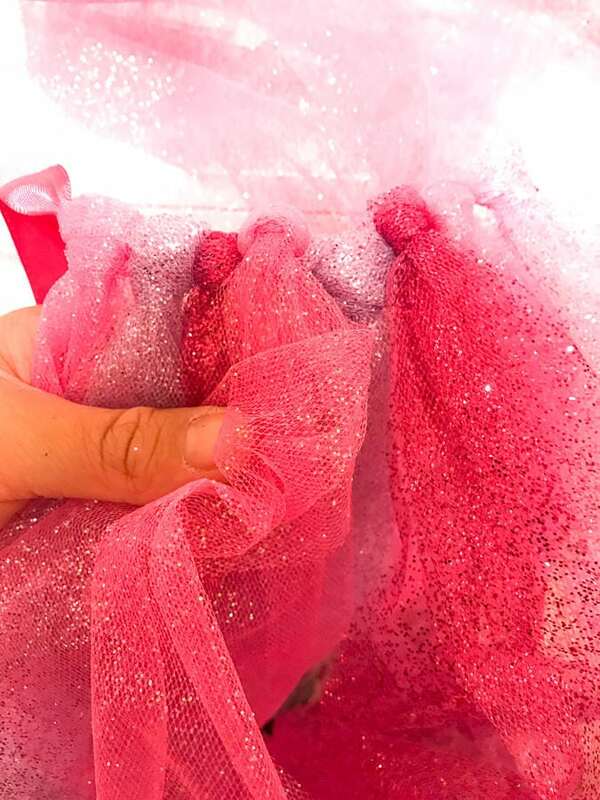 Fold a piece of tulle in half lengthwise. Hold the two ends in one hand and the loop in the other. Fold the loop over the ribbon and feed the two ends of the tulle through the loop. Pull tight. If using more than one color, alternate colors each time you attach a piece of tule and work in a pattern. I used dark pink, light pink, and purple. Keep going, pushing the tulle loops together as you go, until your ribbon is filled with tulle. Arrange the tulle so there is some ribbon left over on either side to tie a bow around your child’s waist. 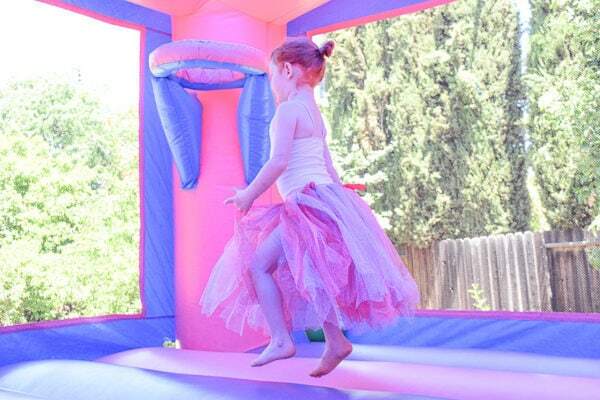 Once tied, you should be able to pull the tutu on and off relatively easily. There you have it, a full tutorial on how to make a tutu. I would love to hear how your tutu turns out!